A round-up of all improvements and changes to the Buzz platform in version 2.0.81, available on December 15, 2016. In this release, we added Feedback Indicators. These icons indicate that a teacher has provided feedback for a submitted activity. Indicators appear only on activities for which feedback is provided on December 15, 2016 or after. Teachers and students can see the icon anywhere that scores are displayed. Wherever students and teachers see the feedback indicator, they are also provided a way to access the feedback. In some places they can click the icon and in others they can click an accompanying link. Teachers can turn feedback indicators off on their Performance > Grades screen by clicking Options in the toolbar and deselecting Show Feedback Indicators. This impacts only the appearance of indicators on this screen. 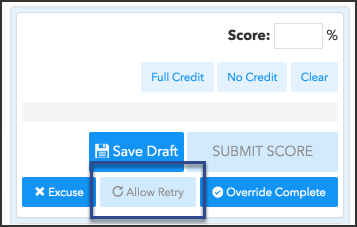 When a teacher overrides an automatically-calculated score on a SCORM activity, the student can no longer retake the activity and overwrite the teacher-provided score unless the teacher clicks Allow Retry for the activity in the Activity Grader or Grade Editor. When a teacher has entered a score for a SCO activity, the student sees a message informing them that the activity is locked and won't save activity. In this release, we also improved the UI in Editor > Weights screen to to allow reordering. Fixed tabbing navigation on pages that have tabbed screens. Removed Print button from Assessment previews in Course Links. Revised the way the Delete Expired button in the Admin app Domain > Announcements screen works, so that it no longer deletes announcements that are set to expire on the day of using the function. Fixed an issue that kept users from being redirected to their own domains correctly when trying to proxy in a domain to which they didn't have access. [IE 11] Fixed an issue that caused an error when trying to delete Domain Resource files. [IE 11] Fixed an issue that caused the Due date column to overlap with Gradable option in the Clipboard when teachers tried to edit the due date of a Non-gradable task at times. Fixed an issue that kept authors/teachers from adding YouTube video activities with the Clipboard. [iPad] Updated the way landing page content is handled by the iPad, so it now follows height restrictions. Fixed an issue that kept the Display correct questions, Display correct choices, and Display feedback functions from being loaded in the Editor at times. 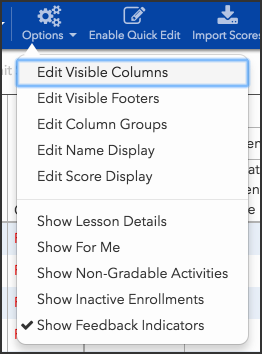 Removed the After due date and After score visibility date options from the Display question results dropdown in the Practice Questions editor for continuous courses. Fixed an issue that erroneously generated an error message (Unable to save move of 'Choice Activities’) when trying to move activities in My Library. Updated the way filenames are saved to support special characters in avatar/profile picture files. Hid Due Date information in the Editor > Properties panel for continuous courses. Added warning letting teachers know that if they navigate from editing grades in the Activity Grader without saving, that changes will be lost. Updates in version 2016.12.14.2175. Learn more. GetDomainSettings: A new attribute, includesource, to display the source-domainid attributes in the response to indicate the ID of the child-most domain where that settings node was set. 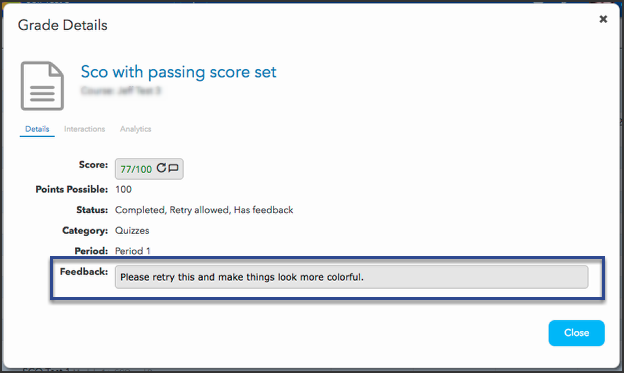 GradeStatus: Two new values to indicate if the score was ScoredByTeacher and if the score HasNotes (e.g., feedback). Teachers are reporting a new behavior and I think it started after this update. Has anyone else noticed that now when a student receives a 0 on an assignment as a result of the setting 'Automatically Assign Zero Scores To Past-due Activities' that they are allowed to move past a gated assignment (one with the completion requirement set to 'Mark as completed when the student: Submits this activity')?